Dell - Poweredge 1855 Dell PowerEdge 1855 Series Blade Server Enclosure Fan Housing Backplane Assembly KC228 0KC228 CN-0KC228 FFB1424SHG DAS73TB44B9. IBM - 74P4401 IBM - 1800 WATT REDUNDANT POWER SUPPLY FOR ESERVER BLADECENTER (74P4401). REFURBISHED. IN STOCK.SHIP SAME DAY.
. - 3.0-Amp Power Supply for Balancing Charger, 100-24 The Blade 3.0 Amp Power Supply for Balancing Charger is a 12V DC power supply that is required to power the Blade Balancing Charger for 11.1V 3S lithium-polymer batteries. IBM - 13N0570 IBM - 1800 WATT HOT SWAP POWER SUPPLY FOR IBM E SERVER BLADECENTER (13N0570). REFURBISHED. IN STOCK.SHIP SAME DAY. IBM - 39Y7360 IBM - 2000 WATT REDUNDANT POWER SUPPLY BLADECENTER. (39Y7360). REFURBISHED. IN STOCK.SHIP SAME DAY. IBM - 14J0666 IBM - 500watt REDUNDANT EXP400/EXP300 DC POWER SUPPLY FOR BLADECENTER SUPPORT (14J0666). REFURBISHED. IN STOCK.SHIP SAME DAY. IBM - 74P4452 IBM - 2000 WATT POWER SUPPLY FOR BLADECENTER (74P4452). REFURBISHED. IN STOCK.SHIP SAME DAY. Hewlett Packard - 384779-001 HP/COMPAQ - 2500 WATT POWER SUPPLY FOR BLADESERVER (384779-001). REFURBISHED. IN STOCK. SHIP SAME DAY. IBM - 32R0819 IBM -1300WATT POWER SUPPLY FOR BLADECENTER (TYPE 8730/20)(32R0819). REFURBISHED. IN STOCK. SHIP SAME DAY. IBM - 39Y7364 IBM - 2900 WATT POWER SUPPLY FOR BLADECENTRE 8852 WITH FANS (39Y7364). REFURBISHED. IN STOCK.SHIP SAME DAY. IBM - 39Y7349 IBM - 2900 WATT HOT PLUG AC POWER MODULE WITH FAN FOR BLADECENTER (39Y7349). REFURBISHED. IN STOCK.SHIP SAME DAY. IBM - 39Y7350 IBM - 2900 WATT POWER SUPPLY FOR BLADECENTRE 8852 WITH FANS (39Y7350). REFURBISHED. IN STOCK.SHIP SAME DAY. IBM - 32R0834 IBM - 1300 WATT REDUNDANT POWER SUPPLY FOR BLADECENTER (32R0834). NEW. IN STOCK.SHIP SAME DAY. Hewlett Packard - 733830-001 733830-001 HP 2650 Watt Platinum Hot Plug Power Supply For Bladesystem C7000 Enclosure. New Bulk Pack. IBM - 31R3335 IBM - 2900 WATT HOT PLUG AC POWER MODULE WITH FAN FOR BLADECENTER (31R3335). REFURBISHED. IN STOCK.SHIP SAME DAY. IBM - 24R2654 IBM - 2900 WATT HOT PLUG AC POWER MODULE WITH FAN FOR BLADECENTER (24R2654). REFURBISHED. IN STOCK.SHIP SAME DAY. Cisco - UCSB-PSU-2500ACDV UCSB-PSU-2500ACDV Cisco 2500 Watt Platinum AC Hot Plug Power Supply For Cisco UCS 5108 Blade Server Chassis. New Factory Sealed. Hewlett Packard - AF916A AF916A HP 17.3KVA 48A Single Input Three Phase Na Jp Monitored Pdu For Blade System And Servers. New Bulk Pack. Hewlett Packard - 398922-D71 398922-D71 HP 17.3KVA 48A Single Input Three Phase Na Jp Monitored Pdu For Blade System And Servers. New Bulk Pack. 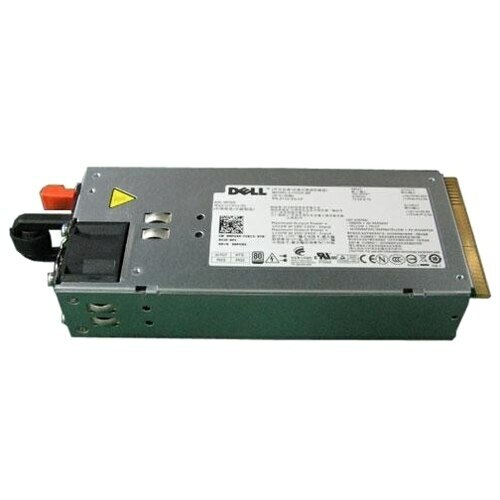 Dell - 3000W Power Supply, High Efficiency, M1000e Blade The Power Supply from Dell â€ž provides reliable power for your mission-critical applications. It delivers up to 3000-Watt of power. AXIS - T8085 500W 1RU Power Supply for T8646 PoE+ Over Co Power supply 500W for use with Axis T8646 PoE+ Over Coax Blade in a 1U rack.